This single vineyard Shiraz is ruby red in colour, with strong purple hues. Aromas of blackberry, plum, chocolate and oak on the nose. On the palate a fine balance of flavours and intensity. Full bodied. 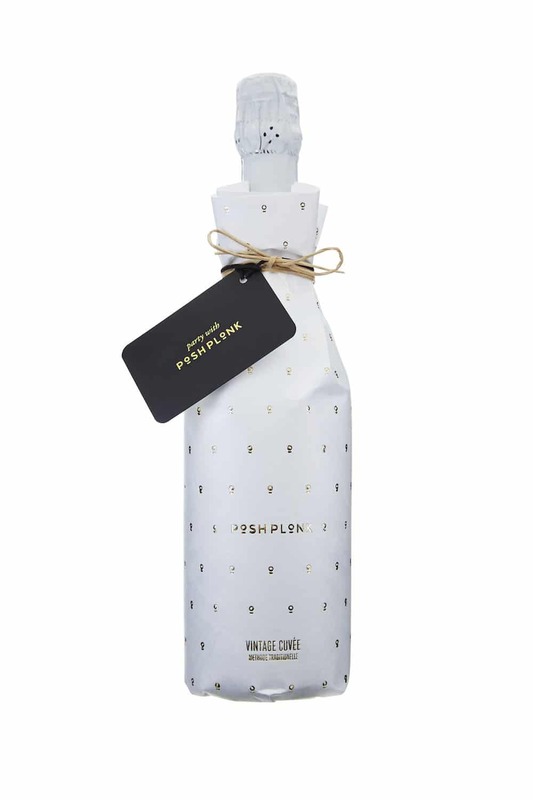 Plum and blackberry dominate the palate, with subtle white pepper elements, balanced beautify with layers of sweet and savoury spice. 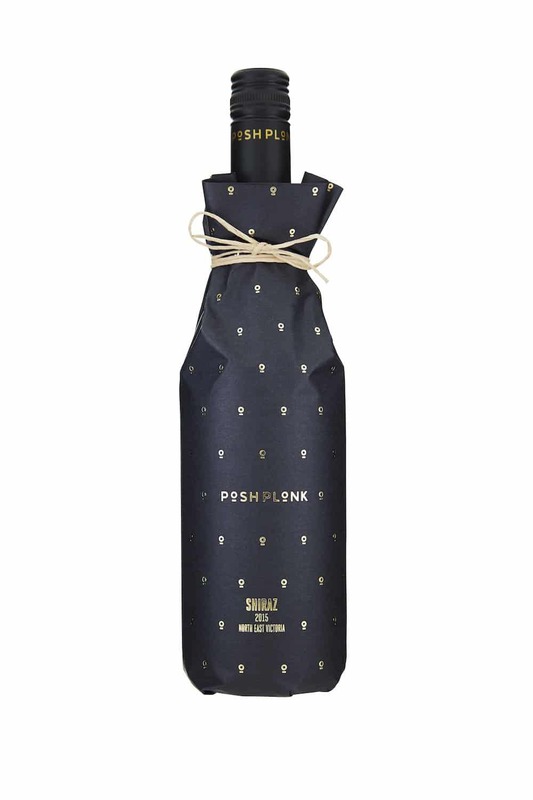 Supple tannins promote a beautiful elegant finish, underpinning the depth and quality of the wine. 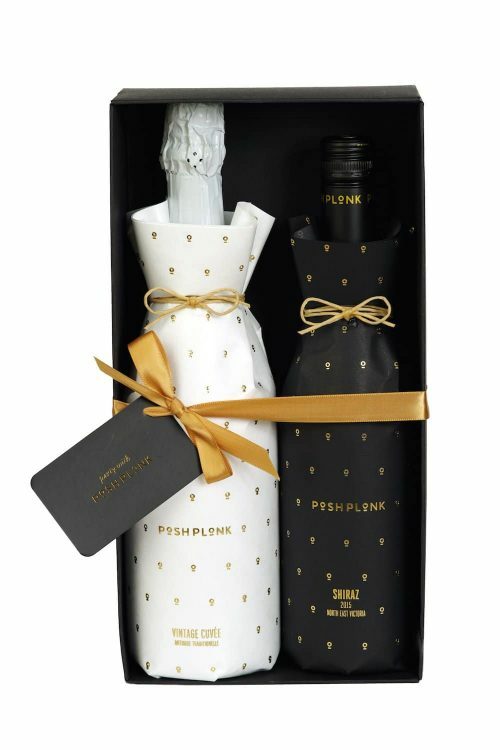 Posh Plonk makes the ultimate gift as it is packaged to please, so whatever the occasion, Posh Plonk can be delivered to the door of your lucky recipient. 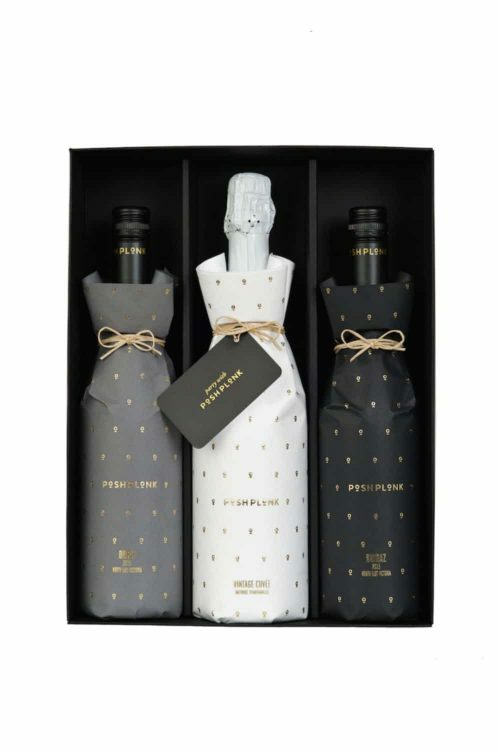 They are perfect for Corporate Gifts, Birthday Gifts, Anniversary Gifts and Christmas gifts. Includes a hand written gift card, so it can be delivered straight to your lucky recipient. 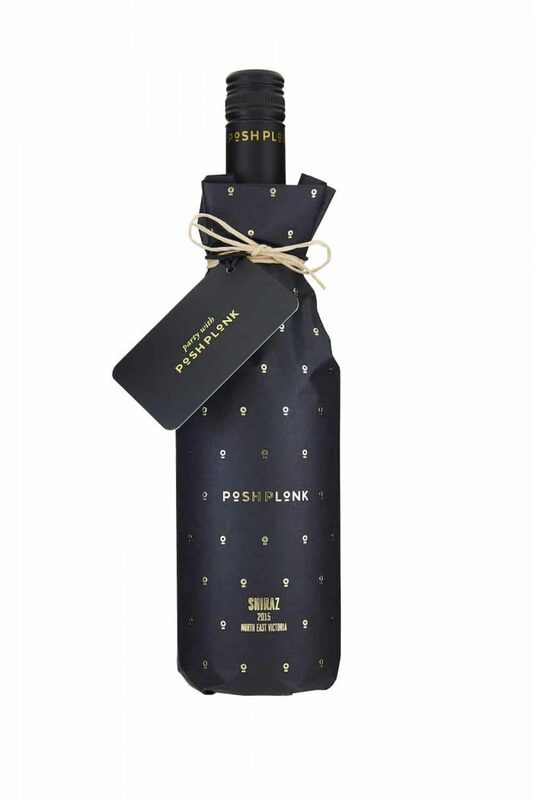 The bottle wrap on Posh Plonk is the label for the wine and is designed to stay on the bottle.